I’ve been involved in a number of conversations about my positions on Sales Forecast Accuracy recently. I wanted to share some thoughts provoked by those very good conversations. The Sales Forecast Is Not The Demand Plan! The demand plan is the basis for scheduling manufacturing (or service delivery). It ripples through the manufacturing schedule, inventory planning, shipping, procurement, supply chain management. Ultimately it impacts cash flow and revenue/expense forecasting. The demand plan is critical, but it’s not Sales responsibility. The Sales Forecast is an important component of the demand plan, so forecast accuracy is important. But it is only a component. Many other things go into the demand plan: historical run rates, trend analysis, lead times, external economic indicators, the phase of the moon–OK, I’m exaggerating. The Sales Forecast Is Not The Company Financial Plan! Like the demand plan, the Sales Forecast is an important aspect to corporate revenue, P&L, and other forecasts. But a lot of other elements go into the Company Revenue Forecast–when/how to recognize revenue, strategy for managing investor/market expectations, historical performance and other factors. As sales people, other functions in the organization need to plan what they do based on what we sell and when we get the orders. So it is important that we are as accurate as possible in developing our Sales Forecasts. Sales Forecasting Will Never Be 100% Accurate Or Completely Deterministic: Because we are dependent on a customer decision, we will never be 100% accurate in our sales forecast. We will never have perfect information about their decision until we have their purchase order—sometimes until after the check has cleared. But that is no excuse for striving for the highest accuracy possible in our sales forecasts. High accuracy is an important indicator to our effectiveness as sales professionals. It is an indicator about how well we are engaging the customer, how involved we are, who well we understand what they are trying to achieve, how and when they will make a decision. If we are just “peddling,” if we aren’t engaging in how our customers buy, we will never be accurate in our sales forecast. We are just guessing. We need to be involved in our customers process and understanding what they need to accomplish, when, and how. We need to understand their attitudes and biases. How Do We Define An Accurate Sales Forecast? An accurate sales forecast is simple. The order comes in roughly when we say it will, roughly at the value that we say it will. That’s it, there’s nothing more. Let’s not overcomplicate it. It is simply, “Did you do what you said you’d do when you said you would do it?” If a person has consistently inaccurate forecasts, it’s an indicator they are clueless about what the customer is doing and thinking. As a manager, this worries me. I don’t care about being off every once in a while, but to have very low forecast accuracy indicates the sales person isn’t engaged and performing as well as possible. It’s Impossible To Have Accurate Forecasts Without A Strong Sales Process! Not having a strong sales process results in a random walk through the customer buying decision. Not having a strong sales process is an indication of being aimless, directionless, and purposeless. The sales process is a representation of our organization’s best experience in winning deals as effectively and efficiently as possible. It enables us to engage in our customers’ buying processes, providing leadership and direction in helping them reach a decision. If we don’t have a sales process or aren’t using it, we simply don’t know when, if, how we can reach a successful outcome. Manager: I need to commit a larger number this quarter, you need to move some things in. Sales Person: Yes Ma’am! How much and when! This conversation, which happens thousands of times a day, is one of the core reasons to inaccurate sales forecasts. We are focusing on what we need, when, and not how the customer is buying. We should always look at compressing the sales cycle, we should always help the customer compress their buying cycle. The reason to do this is to accelerate the ability to the customer to achieve the outcomes they are seeking, not to meet our quarterly numbers. 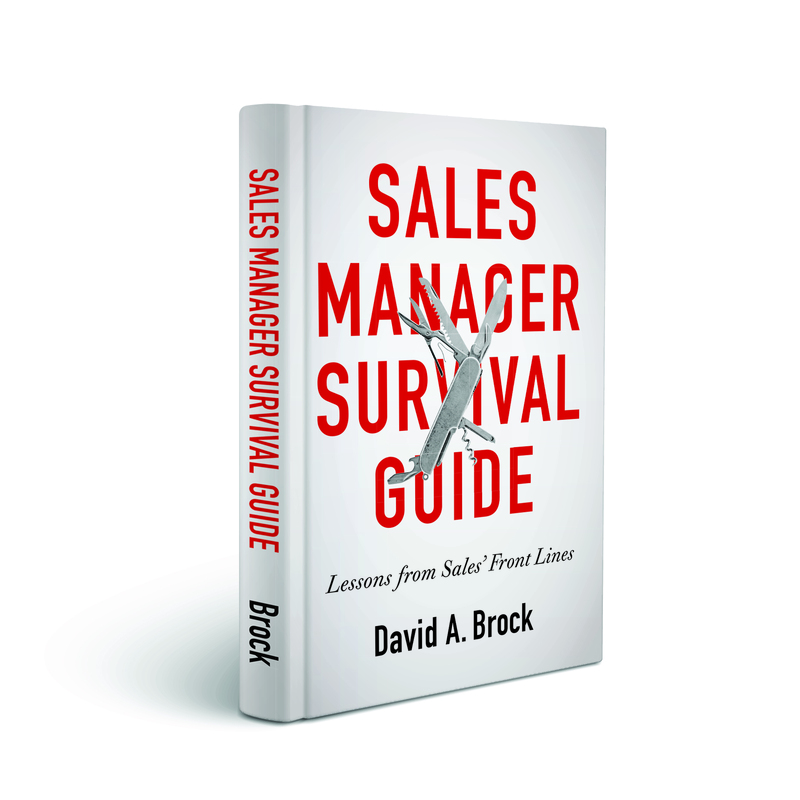 Every sales managers should be engaging their sales people in thinking about this. But simply changing the date, moving to a more aggressive close because “we need the numbers this quarter” results in missed forecasts, increased losses, and customer dis-engagement. Increasing The Intensity Of The Prior Discussion Results In Worse Sales Forecasts! The manager and sales person go through the conversation highlighted above. The forecast is missed. Rather than looking at the root causes of deal flow, how customers make decisions, how we help them compress their process; we increase the volume and intensity of the forecasting conversation. We inject words like the good, better, best forecast. When things get really serious we ask the sales person for a pinky swear than move to blood commits, leading to significant blood letting. Managing deal flow and revenue flow starts a long time before these conversations ever happen. It means building and feeding robust funnels. It means paying attention to velocity, stuck deals, and other pipeline management disciplines. It means paying attention to the top of the funnel, generating enough new opportunities to meet your requirements next year and the following year (if you have long sales cycles). We don’t fix a forecast that meets our objectives at the tail end of the process. “Committing To The Forecast,” is an important but misunderstood concept. We find a new deal, we qualify it. At that time, we give our best estimates about when the customer is most likely to make a decision and what the value of the deal is. As we engage the customer in their buying cycle, both we and the customer learn more. We refine our guess about the timing and value of the decision. We and the customer will refine this quite a bit as we go through the process together. None of these represent the “forecast.” They provide a preview of the business, they give us important indicators. But the sales person has not committed them to the forecast. At some point, the customer has to establish a date to make a decision. If they can’t, they never will make a decision. 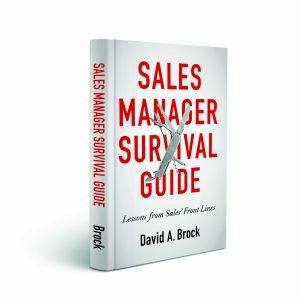 Sales people can provide a lot of leadership in this. We want the customer to achieve the expected results and outcomes as soon as possible. Will they slip–possibly, probably, unless they have a compelling event or need to make a decision by a certain date. It’s our job to help create that compelling timeframe. At this point, we probably can commit the deal to the forecast. We have reasonable certainty based on the customer’s process and based on the customer attitudes toward us and the competition. But too often, our rules for committing something to the forecast have little to do with the customer, but our own internal rules. So often, the sales person is driven to make a commitment, without being committed. This drives failures in forecasting and the forecast process. We have to be very clear about the commitment to the forecast and it is ultimately the sales person’s responsibility–no one else’s. Thanks for letting me get this off my chest. 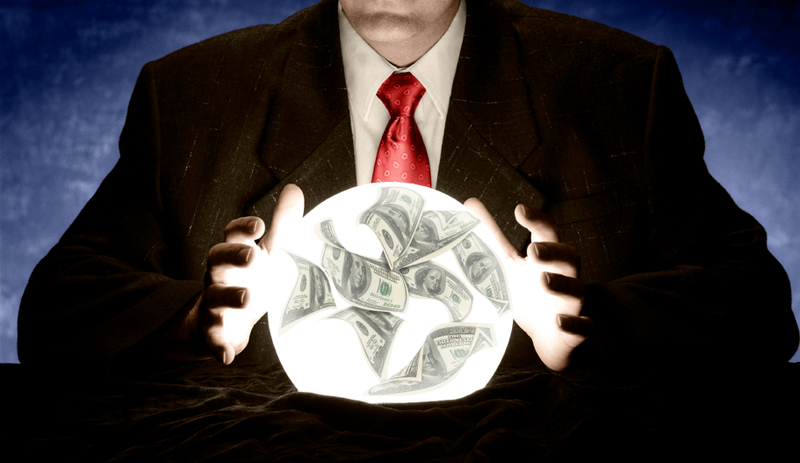 Sales Forecasting–improving sales forecast accuracy is important. 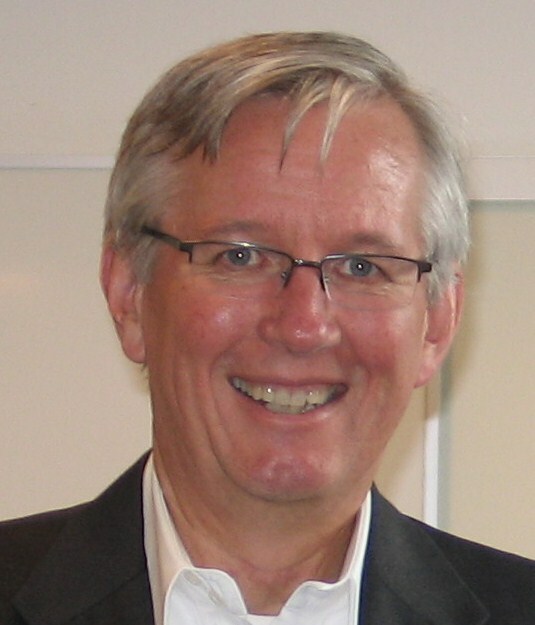 We need to continually improve our accuracy because it is a reflection of our effectiveness as sales people. Others are dependent on our forecasts to help them make better decisions for their functions. But let’s be clear about what an accurate sales forecast is and how we improve accuracy. Let’s not make sales forecasts anything different. In my experience forecasts suffer from pressure – internal and external and distortion. Managers put pressure on reps to fill holes in their forecast and reps put pressure on themselves to avoid being the tall pole at the weekly forecast review. The distortion affect is even worse. Customers often have a distorted perspective of their own situation. Then the forecast gets filtered through the reps distorted version of reality, then onto the manager. Paul, outstanding points. I’ve seen the very same, all of which drive any hope of accuracy out of the sales forecast. Dave, this is right on. The other thing that drives me crazy is reliance on a probability based forecast that’s applied to a single deal. Example is where deals in “closing” stage are assigned 90% close probability and when asked how many of them close, the VP of Sales says “about one out of three.” And then puts the pressure on the salesperson to close his “90%” deal. Andy: Thanks for the comment. I’ve written about this quite a bit before. Most of these probability based systems simply measure progress through the sales process and have nothing to do with a propensity to buy. It’s such a fundamental logical flaw, yet 90% of sales probabilities, and 100% of the out of the box implementations of CRM have this just wrong approach. Why organizations continue this is beyond me. All it does in cause pipeline integrity problems, forecast problems, and defocuses managers on the right coaching to help their people close deals. What a brilliant piece of art, Dave! The people dimension of this is actually fear. The fear not to make the numbers. And the “fear-driven” initiatives are “I need more pipeline, now!” programs. As you said, they often produce the opposite. And the reporting is increasing and increasing, week by week. What those organizations actually want to achieve is managing risks they cannot manage – the buyer’s decision. Of course, they will get more pipeline, and as you stated perfectly: The price is that we lose focus and that we also reduce the probability to win the “right” deals. We can only manage behaviors to achieve results. The topic also shows that – as it is with sales in general – everybody in the company is an expert when it come to forecasting. Another trigger for cross-functional alignment across the entire selling system! Loved reading this! As a big sales process gal, I could not agree more. It’s Impossible To Have Accurate Forecasts Without A Strong Sales Process! But that is obviously not enough. You can’t force people to buy on your timeframe however you can possibly influence. In many cases, that can truly upset your potential buyer especially since you have been working collaboratively through the sales process and now you just want the deal because your management says to close it. Huh? Makes no sense to me but we have all seen this a million times. I agree with you, instead of forcing deals to close when you need them for your forecast – and invariably creating inaccurate forecasting – spend more time creating qualified deals at the top of the funnel which should eventually lead to more deals closing. Or figure out how to expand other existing deals that are at the bottom of your sales process, or get that required additional revenue from current clients where they have a need and you have established a strong relationship and credibility. Hey, sales management – be more proactive with your forecasting using sales process to know where deals are prior to waiting to the end of a month or quarter. Just stop forcing deals to close. It’s just dirty. Great comments Janice! Forcing deals to close is rarely a workable strategy. As you point out, fixing the forecast has more to do with understanding the dynamics of deal flow, close rates, cycle time, etc. Working the entire pipeline, not moving a deal is the best way to drive more accurate forecasts and better results. That, however, should not prevent us from always seeking to compress the customer buying cycle–but not because we need it for the forecast, but we want to accelerate the customer’s ability to achieve the expected results. Very inshighful discussion on the Sales Projections. However I wanted to understand the linkages between Sales Projections viz. e viz. the Procurement Plan. Can anyone be able to guide me what could be the best possible way to get accurate monthly or quarterly Procurement Plan. I also need the information regarding Cash Flow Projections which shall include expenses and Cost of Sales along with the Sales Projections. Pranav: I think your question has to do with forecasting demand/revenue flow on parts for which you have a contract. For example, if you are supplying parts that are embedded into another product, what is their build plan or demand plan. Generally, as a part of finalizing an agreement/contract, you need to come to agreement with the forecasting/demand planning process with the customer–and the change process. That should be part of your contract and expectation setting with the customers. As for forecasting cash flow, I’m not clear what you are asking, but you know your general run rate on sales expense and any extraordinary expenses you might incur, so you can manage the expense to the level appropriate. You also know the forecast and actual revenue, so you can leverage that data to measure things like CPOD and other sales expense ratios.